This week, latte drinker Kat Loughrey, trialled the new coffee-driven startup, Three Thousand Thieves, to discover the joys of quality artisan coffee being carefully selected and delivered right to your door. An insight into a Three Thousand Thieves coffee box. You’re not Melburnian if you don’t drink coffee, right? I’ve always enjoyed a coffee from a cafe, however the notion of making coffee at home or the office had always been lost on me – that is until I brewed my own high quality coffee, courtesy of Three Thousand Thieves, causing a stir around the office with the alluring smell wafting down the hall, and in return brought many interested faces to my door. Three Thousand Thieves is a monthly coffee discovery subscription, best described as a wine club for coffee. Every month, they hunt down and curate Melbourne’s best artisan roasters, and then deliver it straight to your door – either as coffee beans or ground coffee. Most roasters offer subscriptions of their own brands, but what makes Three Thousand Thieves unique says founder Athan Didaskalou, is that they are the first to bring them all together and offer something different each month in your delivery. The experience: The moment the box arrived at my office, the tantalising smell of the coffee beans was the first thing you notice. 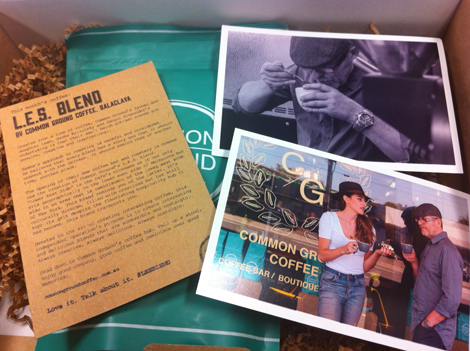 Once the box was opened, your treated to a 250g bag of carefully selected coffee beans, an outline of this month’s coffee on brown card, plus some photos of the Melbourne-based roasters – a nice touch. A simple yet well-crafted experience, all with sustainable packaging. The coffee: Now the big question – so how was the coffee? I was treated to Balaclava’s Common Ground Coffee – L.E.S Blend. Now I’m no coffee expert, but I can hand-on-my-heart say that it made a delicious and hearty brew, without any bitter after-taste. It certainly perked up my day at work! You have a day job, what are the challenges of balancing a growing side project at the same time? I work as a strategist for DT. DT promotes a culture of entrepreneurship and learning-through-doing, and working in that environment definitely rubs off on you. Bosses all love the idea, in fact I have a few of them as customers! My business model is based on a monthly cycle, and because of this, managing the workload is a lot easier – I only have a couple of late nights preparing before delivery day. I think it’s important to maintain the balance between work and the venture on the side. It’s also about setting your priorities from the get go. It forces you to be organised and cracks down on procrastination. With the right business model, you can do something a little fun on the side and maintain your sanity. What inspired you to start TTT? Is your aim to grow it into a full time business for yourself? Like most people in Melbourne, I love my coffee. This came from a problem I wanted a service for myself: why can’t someone find me all the different coffees in Melbourne and sell them to me?! I hope to continue to grow the business in parallel with my career in digital. The two go hand in hand – what I learn from in one I can use on the other. How do you find and select the coffee that you provide? Word of mouth is the only way. Everyone always has their own special place, with their favourite special blend. It’s about talking to the right people to find these places. Then it’s all about taste. We have an espresso on location, and take a couple of bags with us. My partner and friends are all coffee nuts, so if we all like it, it becomes the chosen one for the month! Going international! The demand for Melbourne coffee is huge, especially in the US and in Asian majors like Hong Kong and Singapore. Feedback from customers has shown us that people love to make coffee at home, but don’t like the typical wankers that usually condescend the everyday drinker into trying something new. We want to break down those barriers and run education pieces on cold drips, pour-overs and the like without the snobbery. In your mind, how does Melbourne coffee compare to the rest of the world? Melbourne is the quintessential coffee city: our culture has geared this one thing into a thriving economic beast. Rarely can you find so many coffee houses, so many roasters, so many people obsessed with quality than what you do in Melbourne. New York for their pretzels. Naples for its sauce. Melbourne for its coffee. We live in a rare one-in-a-million city for coffee fanatics. Favourite spot to enjoy coffee in Melbourne? There’s a little gem in Kew called Adeney. Bit of a drive, but take your partner and someone’s dog and enjoy getting away from it all before the weekend kicks in. Check out Three Thousand Thieves online to start your own coffee revolution while supporting local artisan coffee roasters. Follow @3000Thieves on Twitter. About our Curator // Kat Loughrey is the Melbourne Curator of The Fetch, a community where professionals can discover and share what’s happening in their city. Kat is also a Digital Executive in the sporting industry by day (fuelled by coffee) and can be found exploring Melbourne’s arts and music scenes by night. Follow her on Twitter at @KatLoughrey & @TheFetchMELB. This week, we chat to John Barton – the previous dev manager at Envato and now a tech cofounder at movie-review startup Goodfilms. The site started off much more as a little hobby project for Glen [Glen Maddern – John’s cofounder]. It was just a tiny little web app to help him keep a list of films people were recommending to him. At the same time, I was maintaining a spreadsheet of the IMDB top 250 films, and tracking which of my friends had seen what so we could organise movie nights. After plenty of discussions at the pub, it became clear that if two people like us had to invent their own ways to organise what their friends have seen and recommend, that there was actually an unmet need out in the market and that maybe Glen’s side project (with a little love and funding) could be it. Glen pitched the idea to Angel Cube [a Melbourne-based startup accelerator] mid-2011, went through the program, then we secured funding in early 2012 and I came on to the project full time around then. Goodfilms is based in Melbourne. What do you like about being based here? Do you think startups need to head to the US considering all the stuff happening now in Australia? I love the depth of the engineering community in Melbourne. There are a lot of really talented developers based here. I reckon there’s one or two really solid tech meetups every week where smart people get together to talk about their craft. I also just generally like the quality of life here, and the fact that it’s not a huge tech hub keeps everything very grounded. I really hope that startups don’t need to head over to the US to succeed. We’re unsure as to whether we will need to head over at some point or not. If you’re doing a tech startup with an at least semi-traditional business model that is in place very early then there’s definitely no need to go overseas; those kinds of products are well understood and respected here. Any cool wins or shareable challenges with the site to date? The biggest challenge for us, as tech/product guys, has been making the time to work on all the business-y parts of the business. It’s far to easy to put your head down and work on the product and then find it’s been two weeks since the last time you did any marketing, and without the marketing, no one is going to see your hard work. We’ve just had a couple of really good months, since the start of August we’ve grown our registered user base by a factor of six, hit the Reddit front page, got a really nice write up on Lifehacker, and a bunch of other awesome things. All that came from Glen and I realising that one of us needs to wear the business hat at all times and really push the business forward, not just the product. Generally I think the big wins are attached to big challenges, and it certainly was the case in this instance. Previously you were development manager at Envato. How did you find the transition from managing code to managing people (and code)? I found the transition incredibly difficult. Thankfully I was just managing other programmers. It’s a lot easier to wrap your head around people management when the people you’re managing share the same skills and motivations as you – you can empathise more easily with their needs and offer concrete help when they’re in difficulty. One of the big challenges was that it was very early days for Envato, and none of us had done much like what we were doing before. 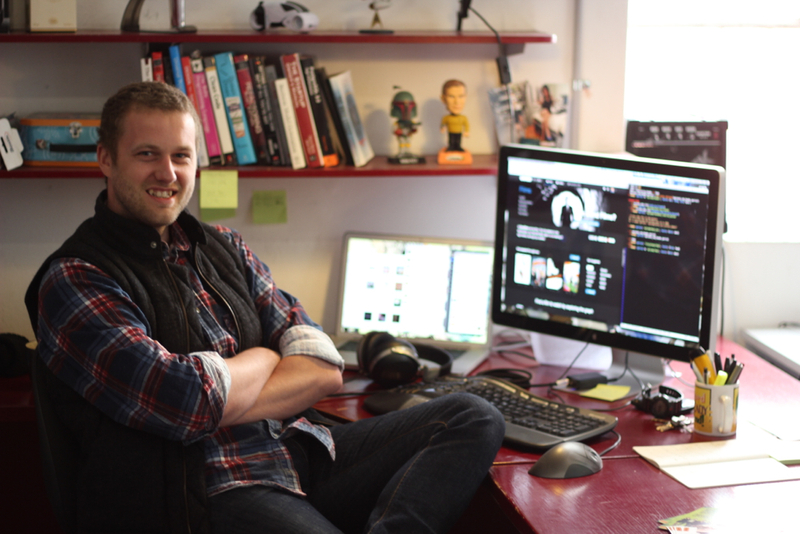 Collis, Envato’s founder, had never managed anyone before either. As tech was the largest team at HQ, I was the sole middle manager with no peers to swap notes with, or more importantly, vent my frustrations with. Probably the single biggest thing that got me over the hump in that role was hiring Pete [Pete Yandell] as my second in charge. We had strengths and weaknesses that complimented each other really well: he had experience from managing teams in startups, but no real desire to get into the nitty gritty admin and – I was the exact opposite, no experience but enjoying doing anything and everything to make the team productive. My first “work” was running a shareware stand at a local market every weekend. We all pooled our pocket money to buy floppy disks, spent Saturdays copying games like crazy, and then made a tidy profit on the Sunday. My first job was working in the kitchen at the 24 hour McDonalds in Geelong. That was exactly as fun as it sounds. I still haven’t eaten McDonalds since (11 years and counting). Some of your other roles have included gigs at MyCareer and The Vine. What culture and company size do you prefer working for? My strong preference is to work for a product company over services. I like companies that are big enough to have people to collaborate with, have big problems to solve, but are still small enough you can engage directly with the users of your product. My best work gets done when I settle into a groove with a product. Once you get to know the people using your product, and get to know the ins and outs of the problem your users have it increases your chances of finding an unexpected way to solve it. Who else do you think is doing good stuff at the moment – both locally and globally? Globally I’m really fond of Kickstarter. I love that they’re changing the way creative works get funded. I love their design: even from their header it’s clear what it’s for and how you relate to the site. I’m also keeping a close eye on Etsy. Over the past couple of years they’ve taken their engineering up to another level. If you’re interested in scaling up web applications, the posts coming out of the team blog and a bunch of the individual engineers are amazing. Locally I think the Adioso guys are smashing it right now. It’s perfect for me that they finally nailed the routes I’m interested in and got the price alerts system just right before I took the big income hit to do a startup. I may just be able to afford a holiday thanks to them. What keeps you driven and focused each day? This is a surprisingly tough question to answer. I’d heard over and over that startups are like a rollercoaster ride. They really are. Depending on whether the day is up or down it changes. On a good day, it’s just flow. Things click into place, I’m not even aware I’m working until all of a sudden it’s starting to get dark. On a bad day, it’s just sheer bloody-minded stubbornness. Those days I just pop the headphones on, swear at the computer a little bit, and then keep plodding along. 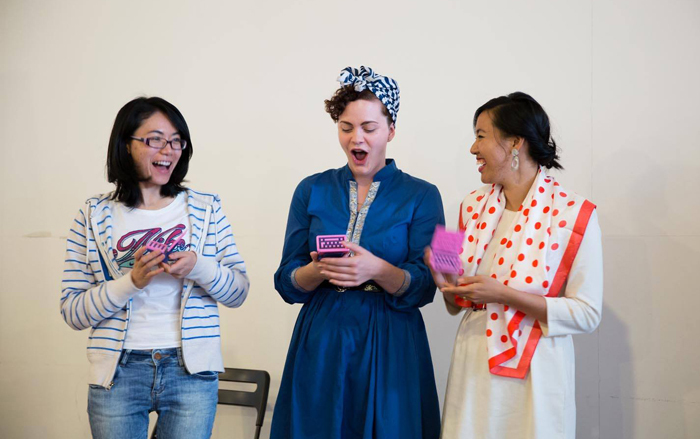 Do you attend any meetups in Melbourne – which ones are worth heading along? 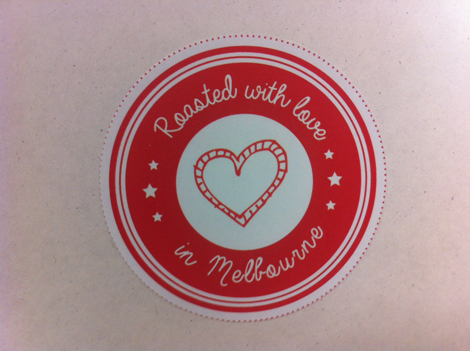 I’ve been attending the Melbourne Ruby Group since mid 2007. That’s a really good meetup if you want to meet a lot of smart, switched-on web developers. I’ve made it to a couple of the new Creative Mornings Melbourne talks over in Collingwood. They’ve been really great, and I find them pretty good for getting out of my pure tech comfort zone. There’s usually more I’d like to go to, but I’ve never got the time. You stated on your website that you’re … “pretty serious about the serious things in life: Bikes, Books, and Booze.” Where in Melbourne do you love to ride, read and drink? It’s kind of funny, but since diving whole-heartedly into a startup – my riding and drinking have changed a lot. The reading is still the same. These days I’ll usually do a quick training ride around Yarra Boulevard. The view over the city is stunning, it’s pretty much devoid of car traffic, and it’s got enough hills that my legs feel it even though I don’t have the time to do a more dedicated ride. I’m very, very fond of Double Happiness on Liverpool St for a cocktail or two. It used to be a regular haunt of mine, but since startup life I haven’t really had the income to drink there regularly. Nowadays you’re much more likely to find me in the beer garden of The Retreat or The Resurrection (both in Brunswick). I’m pretty fond of reading in any beer garden, anywhere. Fleming Park in Brunswick is another good choice. The little nest I make in the middle of the lounge-room on the floor is probably my all time favourite though. What’s next for Goodfilms and John Barton? For me, that’s easy. I’ll be doing whatever it takes to push Goodfilms to the next level. I will take occasional breaks for sleeping. 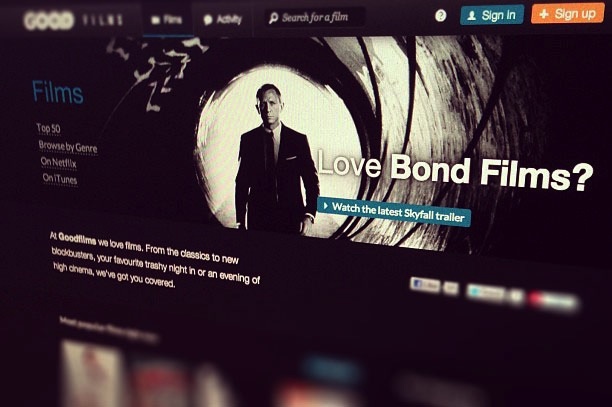 For Goodfilms, it’s all about growing the user base and the ratings dataset we’ve got. Glen’s a serious wizard with maths, and once we’ve got all the data we need, you can expect to see a pretty amazing recommendation system that combines your taste with the movies moving through your social graph. Lastly, what’s the best advice you’ve ever been given? I don’t know that it was necessarily advice, but my boss at MyCareer told me when I started that “I can make any mistake I like once. If you don’t make any, you’re not trying. If you make the same one twice, you’re not learning”. He was true to his word; I had some made some monumental mistakes as a junior programmer there, and I always had his full support. Except when I did screw things up twice, and he came down on me like a ton of bricks. Which I deserved. When I had a team of my own I gave everyone the exact same instruction. I try and manage myself the same way. For me it’s the right balance between the freedom to try new things, and the discipline to make sure you do them right.